Laura Bell Bundy – Legally Blonde, Hot Mess! Phoenix, AZ – “LBB” and her band were lighting up the stage in Phoenix at NTCA’s 2015 RTIME event! Her performance brought down the house with hits like, “Giddy On Up”, “That’s What Angels Do” and “Kentucky Dirty”. Laura Bell had just enough time to meet with fans backstage before embarking on a 15-hour flight to Australia to perform for CMC Rocks in Ipswich. For those not familiar with her work, Laura Ashley Bell Bundy is an American actress and singer who has performed in a number of Broadway roles, both starring and supporting, as well as in television and film. A self-proclaimed “HOT MESS”, her best known Broadway roles are the original Amber Von Tussle in Hairspray and the original Elle Woods in the musical version of Legally Blonde. She signed to Mercury Records Nashville and released her first country music single, “Giddy On Up,” in early 2010. The album’s second single, “Drop on By”, was released to country radio on August 9, 2010. In addition to dominating Broadway stages, Laura Bell has also been spotted in front of the camera, appearing on network television shows such as Cold Case, Veronica Mars, Home Improvement, Malibu Country,”Becky” on How I Met Your Mother, a recurring role as “Shelby” on Hart of Dixie, and her current lead role as Dr. Jordan Denby on Anger Management. She also played the disgruntled teen “Marah Lewis” on Guiding Light. Taking television to the big screen, Laura Bell’s film work includes Dream Girls, Jumanji, Life with Mikey, The Adventures of Huck Finn, CMT’s first original movie To The Mat, Watercolor Postcards and Hallmark’s Dear Dumb Diary. 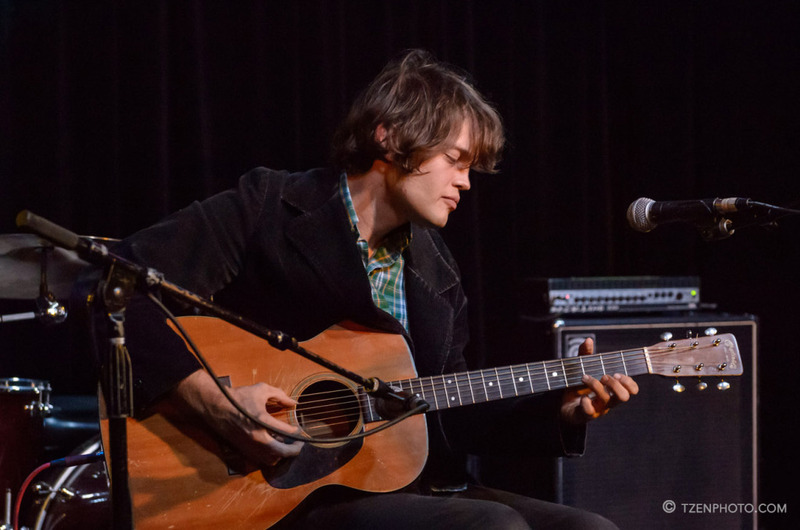 2014 has been a good year musically for William Tyler – being selected as one of Rolling Stone Magazine’s “Young Guns” (most notable guitarists from the next generation of six-string legends) and one of RS’s, “10 New Artists You Need to Know”. Additionally, Tyler was voted Nashville’s “Best Instrumentalist” for 2014. Checkout his masterful fingerpicking on his upcoming release, “Lost Colony“.